Olive Tree Genealogy Blog: Nay-Sayers of We're Related Need to Chill Out! 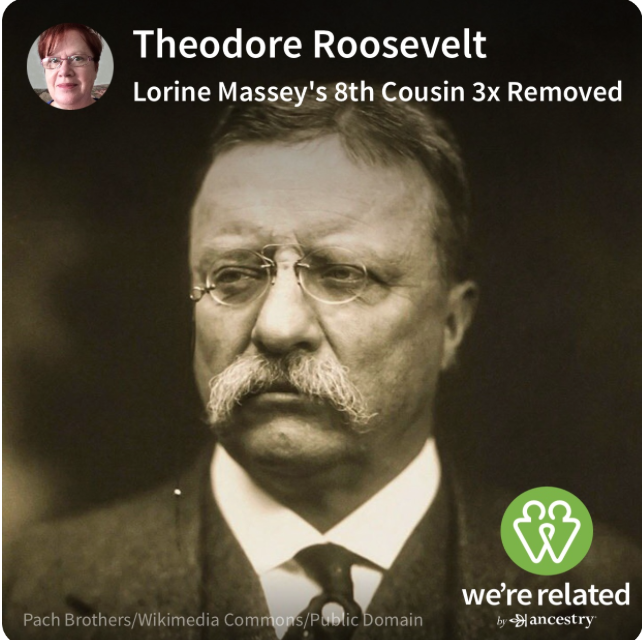 And for those of us who enjoy research (and I think a good percentage of genealogy-nuts fall into this category) -- if the app provides links we haven't confirmed/disproven yet, then it is providing us with an opportunity to do something we enjoy. 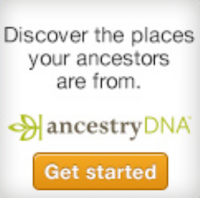 I do believe though that in addition to a family tree on Ancestry you need a Facebook account. I don't think the app will allow you to sign up without one. Even though I have found many mistakes, I think it's fun too. How do I make one for my husband.? 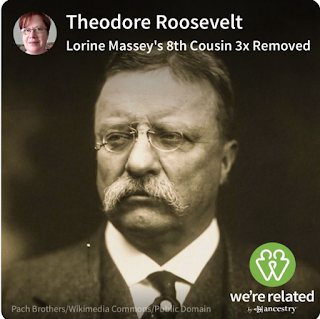 I tried and since it's my account on Ancestry, it didn't recognize him when I signed him in with his FB account. SCJOHANSON, to make one for your husband, just create a separate tree for him on your ancestry account. That's how I did it for everyone in my family. When it syncs to your App, make it active. You can have many active trees on the App, and they will all be searched for relatives. John, I am pretty sure you only need a Facebook account to see your Facebook friends show up as relatives. In other words, if you have an Ancestry tree but no Facebook account, you would see celebrity "hits" but no Facebook hits. Thank you for this post. I've enjoyed this app! I get a new hit mearly every day - and I'm enjoying my husbands completly different hits. I've gotten a bunch of presidents, vice's and 1st ladies, and he has not! He does have Justin Trudeau which makes me jealous! I've found at least 5 or 6 wrong ones. But that's how genealogy works. I've gone into a genealogy hiatus in the past due to really unkind, divisive "professional" genealogists. I'd like to learn more and attend state conferences, but frankly there are too many rude people in this field. I do not plan on living and dying by my tree, but I enjoy it immensely. No one in my family is interested, and I'd like to network with others, but I haven't figured out how to get past the flat out snobbery. I did join the DAR through my tree and now am concentrating on proving as many "patriots" as I can find. I truly appreciate your kind words. I've got my tree active and one for my boyfriend also active but the both show as me (name and picture) on first indication of match, then (if it's him) his name under my picture as the bottom of the chain on the page with the lineage chain. Do you know how to make it stop that and just show as him by any chance. It confused a friend who turned out to be possibly related to him; she thought it was me. Sounds like a fun activity. Wish it was available in Australia. I'm going to try and dwonload it when in the US next week. LOL... This app is hilarious and just downright scary. It says I'm related to Bill Clinton, Donald Trump, Barack Obama, and even Michael Jackson! Whaaaaaaaaaaat? This will certainly make some interesting conversation at the Christmas dinner table!